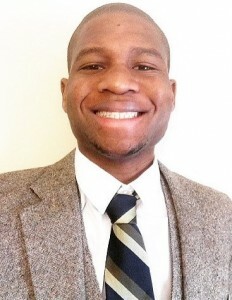 Mr. Onwukwe participated in SMDEP at Columbia University in 2011. He graduated from the University of Maryland, College Park with a major in Community Health. Today, he is a first year dental student at Herman Ostrow School of Dentistry. What led to your interest in dentistry? Dentists are non-existent in my village, and overall the health-care system in Nigeria is poor. Access to health-care is limited for lower income individuals, and health specializations such as dentistry and oral surgery are very limited. In order to receive dental care, one sometimes has to travel to a first world country. The health-care disparity in Nigeria, especially for lower income individuals, has stimulated my interest in oral health. My knowledge of public health, community health, and a desire to make others smile has shaped my interest in dentistry. What makes your story unique? Many years ago, I was attacked and robbed. The incident left me with a swollen face and my maxillary central incisor was chipped in half. Over time, my injuries healed, but my chipped tooth reminded me everyday of the attack. The chipped tooth left me sad and insecure. The only way to cover my insecurities was to not smile. In a sense, I felt naked. I did not smile in pictures, and as time went by I got used to not smiling at all. After five years, my mother took me to the United States and when she realized how sad I was, she took me to the dentist. I remember her exact words were, “you will smile again,” and ever since then I have developed wrinkles from smiling so much. Based on my personal experience, I learned that dentists can empower and build confidence within their patients by improving their smiles. Being able to smile again, lifted my self-esteem, gave me the motivation to pursue my goals with confidence, and inspired me to give others the ability to smile. My journey is not common and it surrounds one theme, and that is staying positive. Staying positive is a mental game that we play everyday and the more you build your endurance, the longer you last to play the next mental game. Each victory and defeat is a learning lesson. In summary, one can say we always grow no matter what the consequences are. If you had the opportunity to speak with a potential health profession student, what would you tell him/her? My best advice is read many books that facilitate the “food for thought” notion. You need to be healthy mentally and spiritually to move forward in life an sometimes that comes from meditation, reading positive books and staying optimistic. It’s typical to say work hard because that’s expected from everyone but it’s imperative that you stay positive and find peace within yourself. Self reflect everyday and always help someone else because not everyone is fortunate with the resources that we may overlook sometimes. Everything in life works if you chase it with positivity, dedication and true sincerity in projecting empathy for others. Slowly but surely. Stay positive and enjoy the journey to your goal.